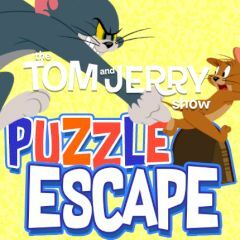 The great chase starts over again and this time it takes place inside a house, where Jerry must escape tom by solving interesting puzzles. Ten levels of different difficulty and decorations are waiting for you. Don't lose time and show how rapid your mind is and help Jerry find the way out!